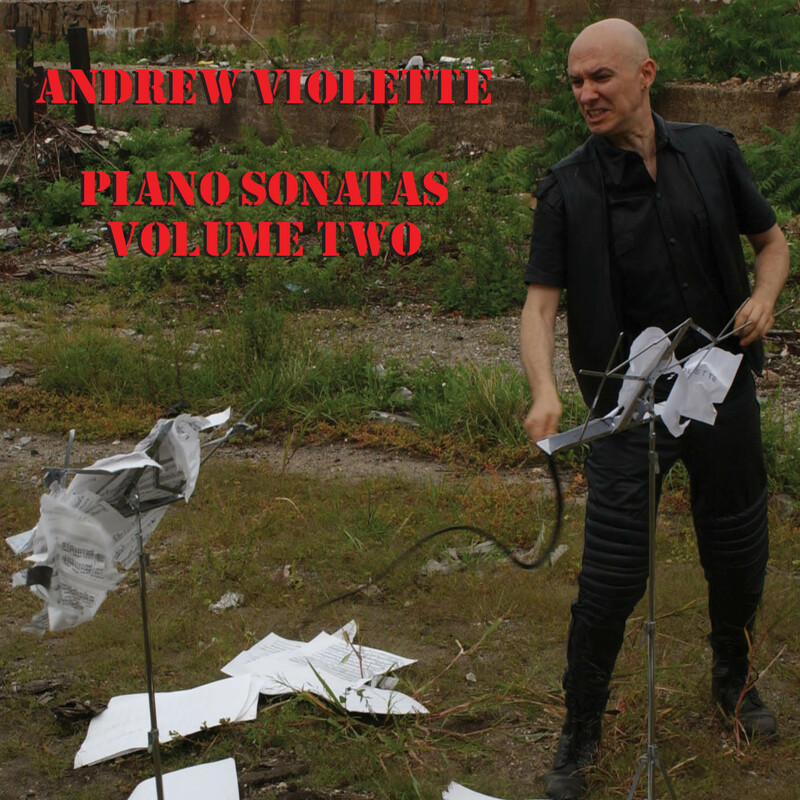 Inimitable pianist/composer Andrew Violette connects the alpha and omega of Piano Sonatas 1 and 7 (Innova 587) in Piano Sonatas Volume 2 (Innova 641). Andrew Violette lives and works in the Williamsburg section of Brooklyn, New York. His previous Innova CDs are Piano Sonatas 1 and 7 (587) and The Death of the Hired Man (I608). He is currently working on a nine-hour opera based on Milton’s Paradise Lost to be performed over the course of one evening. It's possible to view the sequence of Violette's sonatas as one extremely long piece. Everything in his music grows out of something that preceded it or anticipates something that will follow. It lives at the point of paradox -- organized with mathematical precision, it sounds improvised; it develops complex ideas through minimalist repetitions. It traverses a wide universe of techniques, styles, and dynamics, clamorous sounds and shuddering silences, but its cumulative effect is unified, mystical, and ecstatic (the composer was once a monk). Some of the music is not pretty; if Violette is going to stare into the abyss, he is going to tell us what he sees there. The pounding rhythms are inexorable; there are influences and indirect quotations. His music often sounds like other music, but nothing else sounds or functions like it, which is a definition of originality. The composer's relationship to the piano is visceral, even violent -- as carnal as his music is spiritual.